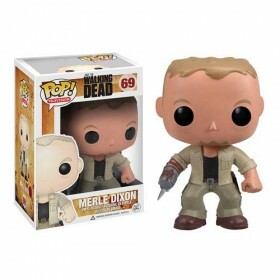 The Walking Dead TV Series Merle Dixon Pop! Vinyl Figure : The conniving older brother of Daryl .. 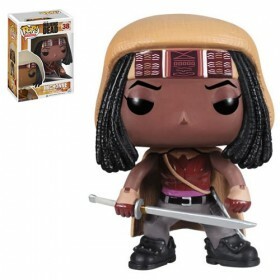 The Walking Dead Michonne Pop! Vinyl Figure : The katana-wielding Michonne from the gruesome&n.. Walking Dead Michonne's Pet Walkers Pop! Vinyl Figures Case : Directly out of the gruesome .. The Walking Dead Penny Blake Pop! 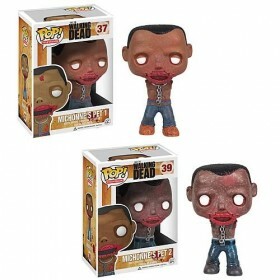 Vinyl Figure : Straight out of The Walking Dead TV s.. Walking Dead Teddy Bear Girl Pop! Vinyl Figure : Teddy Bear Girl from the gruesome Walking ..